If you haven’t been to an Uncorked Wine Series event at Brunswick Forest, be sure to make your reservation! 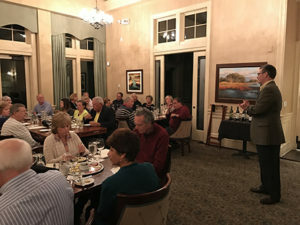 Certified Sommelier, Michael Lane, has hosted this monthly happening at The Forest at Cape Fear National for several years, sharing his expertise and knowledge of food and wine pairings with the residents of Brunswick Forest. 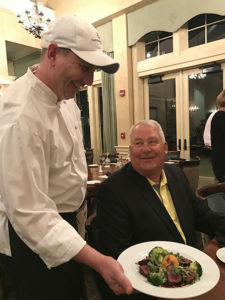 With each series focusing on wines and cuisine from various countries around the world, the dynamic duo of Michael Lane and Chef Scott Euvrard of The Forest Restaurant serve you up with a night of fine wines and delicious delicacies. Intrigued by the art of wine and the culinary pairings of food and drink, Michael Lane loved the meticulous and delicious nature of serving wine ever since he first joined the restaurant industry. He has been in the business for over 30 years and has been a certified wine educator and distributor for the past 17 years. Michael loves sharing his experience and knowledge of wine with the Greater Wilmington area, including giving lectures on beverage management to students at Cape Fear Community College and the University of North Carolina, Wilmington. Great Ways to Get Involved! 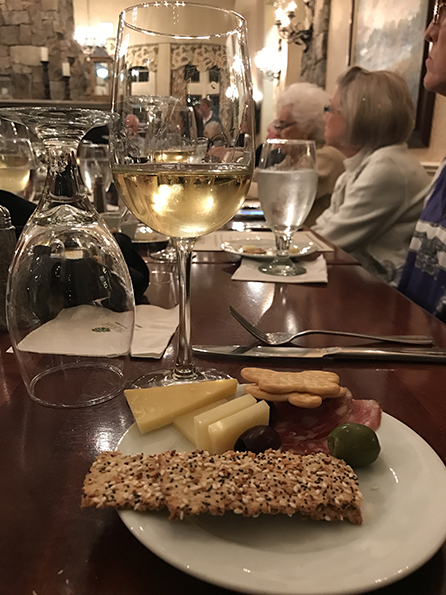 The Uncorked Wine Series is a great way to get involved and meet fellow Brunswick Forest residents! With excellent fare served by the superb team at Cape Fear National, nothing beats a delectable evening meal with great company to enjoy it with. From events like the Uncorked Wine Series to Trivia and Pub Night, join in the events happening at Cape Fear National and Brunswick Forest.